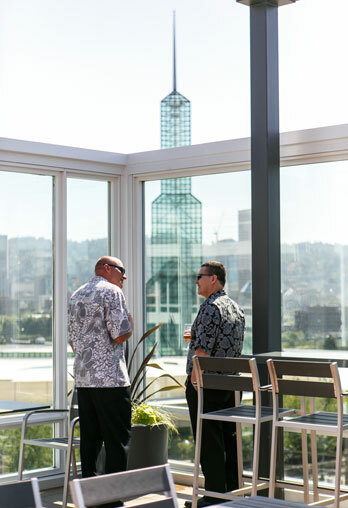 Across the Willamette River from downtown Portland, the booming Eastside district is home to a growing number of distilleries, microbreweries, trendy restaurants and, as of earlier this month, its first upscale hotel. The art-filled Hotel Eastlund, a $15 million gut-remodel of the former 1962-vintage Red Lion Hotel, has 168 rooms, most with oversize beds and many with downtown and river views. Food and drink options aim to draw locals as well as visitors. The rooftop Altabira City Tavern, which includes a 103-seat patio with three fire pits, is run by the local chef David Machado, who offers American classics and 16 craft beers on tap. Citizen Baker in the lobby offers more casual cafe fare and morphs into a wine bar in the evening.